Free Photoshop CS5 Lessons! ! ! Hey all, S0 those of you that follow my instructor blog get a special treat today. Most of you probably did not know about this event happening right now in San Francisco. 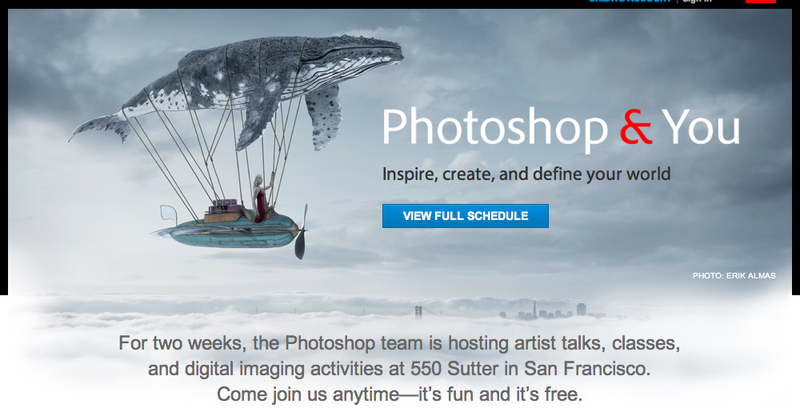 Adobe is giving free photoshop lessons. Yes Free. You should all try to make some of the talks and events cause it is truly a rare opportunity to meet with these folks for free. See you there! Click here for the Details. Have Fun!